For the First Time, I’m Revealing My Unique, Scientifically Proven Method for Crushing the Golf Ball Further with Less Effort & Without Hurting Yourself! Even though I’m a healthy 43 year old guy, I typically only hit my driver around 230 yards on average. I have a degree in sports science and exercise physiology. How much further will you be smashing your drives after you take The Golf Swing Speed Challenge? You’ll be cranking drives further than ever, and as a result will have a blast on the course once again. You’ll hit it much straighter since your swing plane and tempo are better. You’ll finally understand what “effortless power” really feels like! You’ll be hitting shorter irons and wedges into greens…thus giving yourself more birdie chances and shooting lower scores! You’ll have a renewed sense of confidence when you walk onto the first tee before every round. You’ll not only hit it further and straighter, but you’ll swing without pain and reduce your risk of injury (as an exercise science guy, this is incredibly important to me!). Listen, if you were to come to me personally and offer me $500 bucks to design this plan for you…I’d politely decline. So you’re not going to pay $500. How about $197? That sounds good right? If you decide to take part in The Golf Swing Speed Challenge program today, you’ll get everything for a one-time fee of only $97 $57. Most importantly… $97 $57 is a drop in the bucket when compared to the results you’ll achieve when you FINALLY learn how to increase your swing speed substantially and improve your driving once and for all. Free Gift #1 – Video To Brainwash Your Mind For Increased Swing Speed! Week 1 Swing Drill – You get two swing drills to help you reduce tension in your golf swing so you will hit the golf ball further. Week 2 Swing Drill – You get a video drill showing you how to you create a wider arc in your golf swing. Week 3 Swing Drill – You get a video showing one of the simplest golf drills to help you achieve freedom, relaxation and a powerful release in your golf swing. Week 4 Swing Drill – You get the best drill we know of to teach a golfer how to get the most speed possible right where it matters the most — impact! You get two videos with this. Week 5 Swing Drill – To help you achieve better balance in your golf swing so that you hit longer drives you get a very simple and effective drill. Week 6 Swing Drill – You get shown (video) the best drill we know of to help you learn lag in your golf swing. Week 7 Swing Drill – If you suffer from a slice problem you’re going to love this drill that will help you get the correct feeling into the ball to hit nice, pretty, long draws. Week 8 Swing Drill – You get shown the best drill we know of to help you nail down the transition so you hit longer drives. Week 10 Swing Drill – Learn how you can get correct tempo into your swing for longer drives. This version has been sold separately for $74 and it includes all new exercises and drills to help you gain even more distance. So you get all of that for just $97 $57. But please take this Golf Swing Speed Challenge right now because the price is going up to $97 very soon and it’s a bargain at that price. Not to mention if you don’t take the golf swing speed challenge now you won’t be hitting the ball further, or have so much more fun playing golf as a result. Today you have a unique opportunity in front of you today to purchase The Golf Swing Speed Challenge for a one-time special low fee of $97 $57. You don’t need the latest $500 driver (I’m using a driver I bought for $80 of eBay). Click the “add to cart” button below to get started…it’ll be the best $97 $57 you’ve ever spent on your golf game. Important Note: The main part of The Golf Swing Speed Challenge is a downloadable program (pdf). 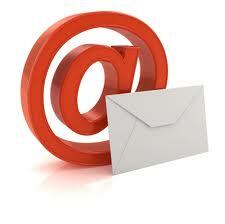 And as such, you will NOT receive a physical package shipped to you vial mail. 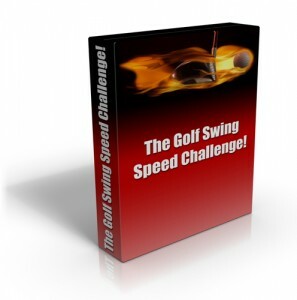 After you purchase The Golf Swing Speed Challenge, the entire package will be available for you immediately to download to your computer so you can start straight away after ordering. Plus videos showing you the exercises can be viewed online, 24 hours a day, 7 days a week. 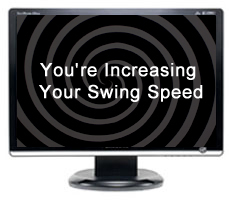 “I have been using your Swing Speed Program for about 6 weeks now. I must admit that due to a rather heavy work schedule I have not been as diligent as I would like, but have not missed that many days of workout and stretching.